To celebrate 10 years on Delvera and our trails in the Greater Simonsberg Conservancy we thought it appropriate to host a ride across all the trails we manage in this part of the conservancy. Distance & route description: The route measures 19km and takes in Delvera, Marklew, Warwick and Le Bonheur Estates as well as Elsenburg. There are 9 singletrack sections including the 4,8km continuous section of the blue route on Klapmutskop. With all that singletrack and 658m of climbing (according to Google Earth) this ride is geared towards more experienced riders. General info: Drinks at the finish, medics, permit & riders will be timed by Amarider Timing system. Amarider Trail Tag The Funride will be timed with Amarider Trail Tag system, riders will check in & out at various points and timing data will be streamed live on www.trailtag.co.za. 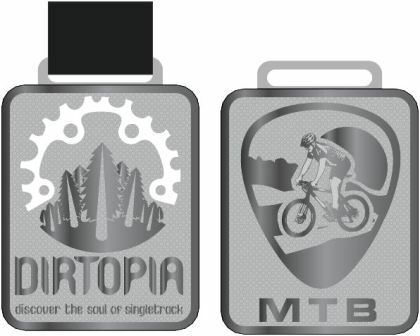 You can purchase a permanent Trail Tag (R100) OR temporary Amarider Trail Tag (R15) which will be given to you at registration with your racenumber. The temporary tag will be taken off at the finish line. Remember - No tag, no time: available for rent or to buy. IMPORTANT! 1. Only ride with your own TrailTag 2. Wear the tag around your right wrist like a watch. Not around your ankle please. 3. The reader is powerful enough to read through arm warmers etc.